Around the country, flooding has affected homeowners in states across the South, Midwest and others. The damage is particularly devastating to low-income families who don't have the money for repairs. The U.S. Department of Agriculture (USDA) has a loan program that will provide needed help to families affected by recent flooding. 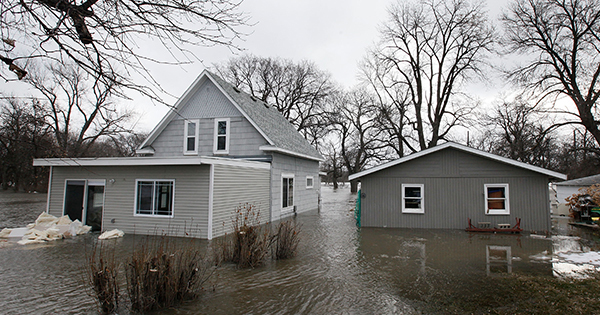 The U.S. Department of Agriculture Rural Development is offering low-interest loans of up to $20,000 to low-income residents affected by the recent floods. There is no down payment required, and interest rates are as low as 1 percent with a subsidy. Eligible residents may qualify for a loan up to $20,000, and they have up to 20 years to repay the loan. In addition, grants up to $7,500, which do not have to be repaid, are available to homeowners ages 62 and older. The grants must be used for the removal of health or safety hazards. This can include fixing a leaking roof, installing indoor plumbing or replacing a furnace. Visit http://eligibility.sc.egov.usda.gov/ to determine if you are within the established income limits and and live within eligible areas.